Motion graphics A very intensive part-time evening course which I attended after work. It was tough working and studying at the same time, but I was amazed by how much I had learnt and how much more confidence I had gained after those 12 weeks! It was great to have a showreel by the end of the course, the compilation of my new abilities did in fact help with getting interviews for jobs I applied for. Many employers were interested by the fact that I had studied at Escape Studios, it was an added bonus that I was also lucky enough to be selected to join course tutor, Thiago Maia’s, Cookie Studio for a 3 month internship. It was wonderful to have my efforts recognised by this award from the course, which I am still thankful for! At Cookie Studio I was part of the team putting my newly learnt skills to practise on live jobs, by the end of it I felt even more ready for the industry! I also gained a greater level of skills in Cinema 4D. I am currently working on motion graphics and UI design for various innovative brands in avery talented post-production team at creative agency Across The Pond, who are the in-house video agency for Google. Akira. Crazy, amazing animation for its time, I watched it as a kid and was totally freaked out but I appreciate it a lot more as an adult, especially after realizing the abundance of detail and work that went into it, it still stands as a masterpiece even today. Be prepared and ready to accept criticism and really take away what tutors or seniors have to say about your work. Even if it’s not given, ask for it! This is the best way of learning and achieving a new edge or level to your skills especially when first starting out. Inspirational. Both tutors Thiago Maia and JM Blay were fantastic and their experiences inspired me a ton! It gave me the extra encouragement and confidence to achieve my aim of changing my career path from digital designer to motion graphics designer. The industry is competitive but as long as you have the will to succeed and really put in the effort, you’d go a long way! Also go to motion graphics events in London, there are so many free ones popping up every month featuring talks from leading studios. They are reallyworth going to for inspiration and making new contacts and connections. 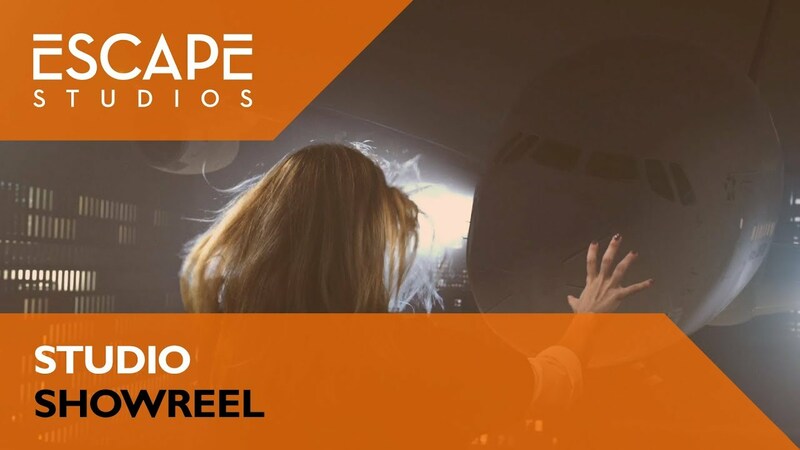 Many employers were interested by the fact that I had studied at Escape Studios, it was an added bonus that I was also lucky enough to be selected to join course tutor, Thiago Maia’s, Cookie Studio for a 3 month internship.